Aldo Naouri, renowned paediatrician and social commentator, is the author of many highly successful books published by Editions Odile Jacob: Les Filles et leurs Mères, Eduquer ses enfants, Les Pères et les Mères, L’Enfant bien portant, Adultères and Prendre la vie à pleines mains. Love may have no price, but what does the way a couple deals with money reveal about their relationship? Expenses, the role of money in the relationship, the way money is used as a bargaining tool: all these are clues to the state of a relationship. For good reason, money has been called the sinews of war. 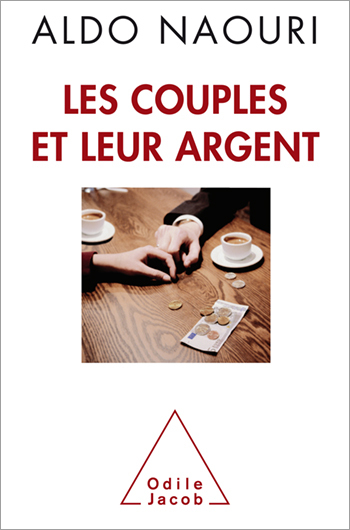 In his new book, Aldo Naouri draws on his own personal life, as well as on case histories gleaned throughout his lengthy medical career, to give us his sharp observations on our changing society, based on an in-depth enquiry into the way partners in a couple relate to money. Predictably, the search to understand the part money plays leads Naouri to an examination of male and female social roles, and, as in his previous books, he enlightens us on the extraordinary complexity of the psychic realities that trigger human behaviour. Avoiding commonplaces and preconceived ideas, Naouri has written a thought-provoking work that urges us to consider with a fresh eye what we had previously believed to be completely uncontested. • Much like an archaeologist, Aldo Naouri digs into the psychic roots of male and female social behaviour. • Learning to deal with money, differences in male and female approaches, social roles, women’s work, games of desire: these are some of Naouri’s favourite themes, which he has woven together here in a coherent and illuminating work. • Life stories, snatches of personal history: Naouri’s finely honed style perfectly serves his indispensable reflection on our changing society.